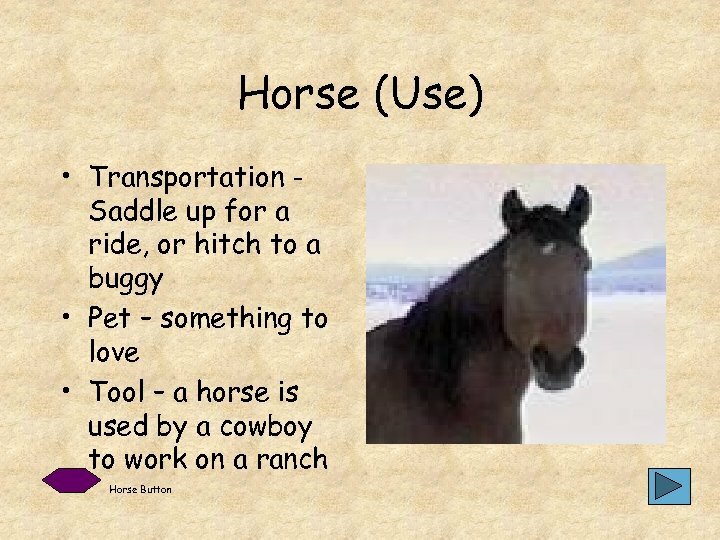 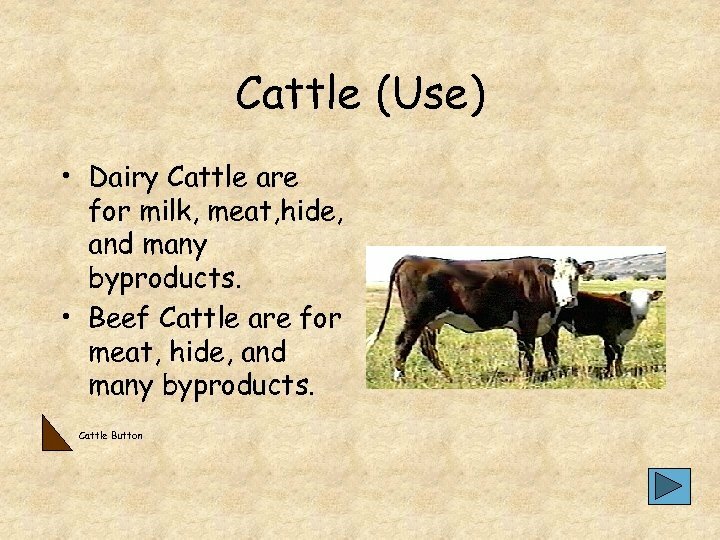 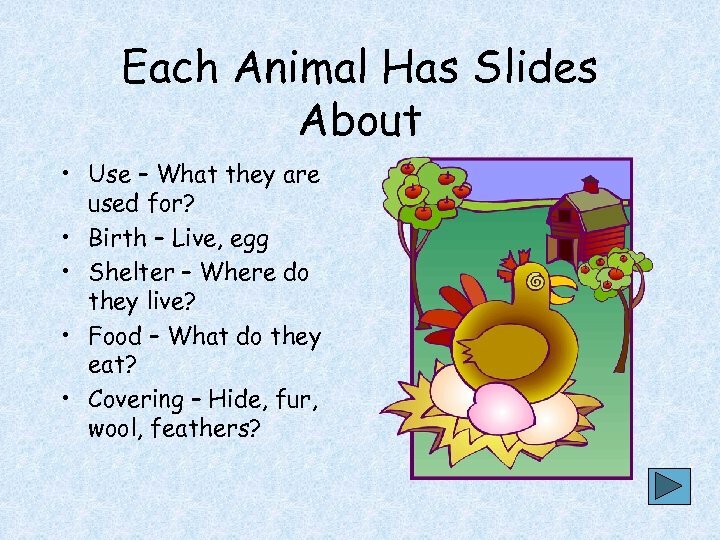 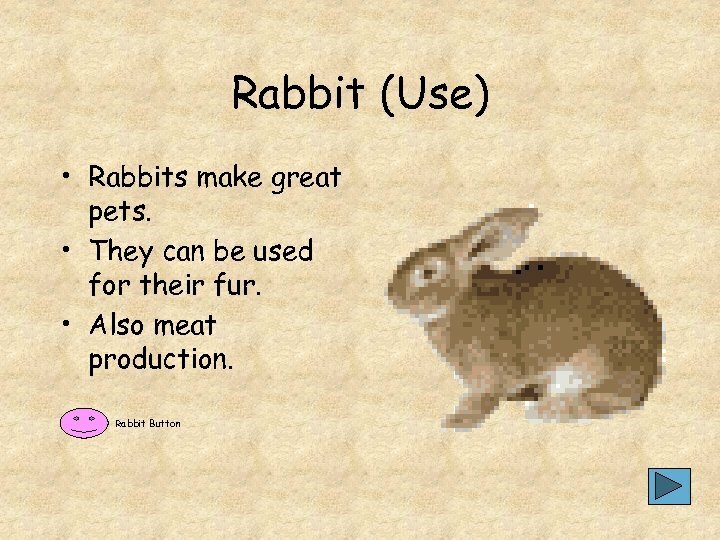 Each Animal Has Slides About • Use – What they are used for? 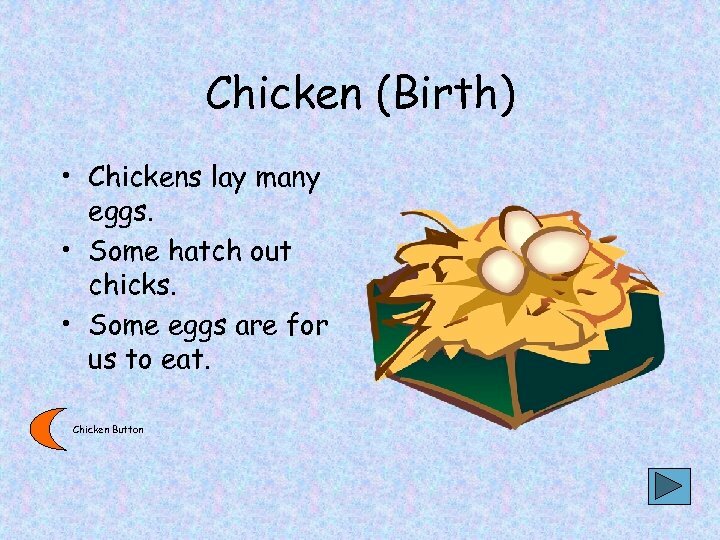 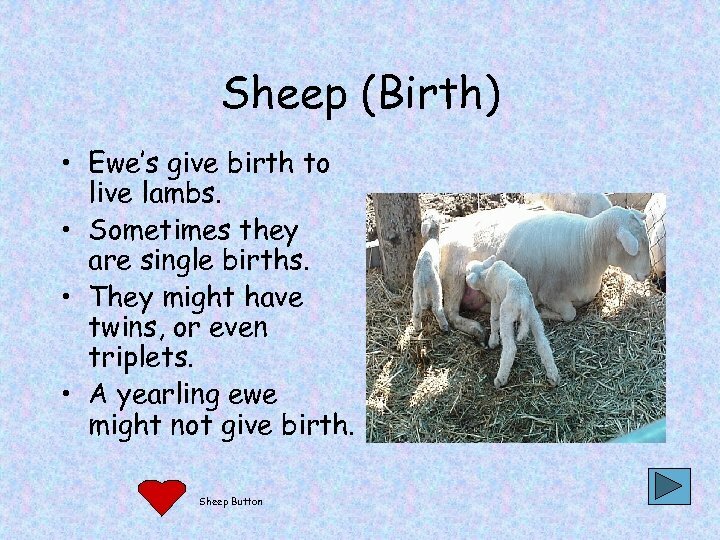 • Birth – Live, egg • Shelter – Where do they live? 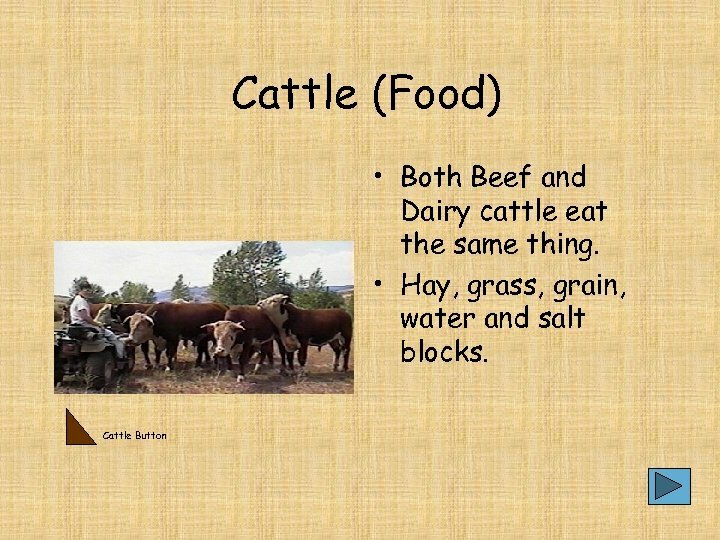 • Food – What do they eat? 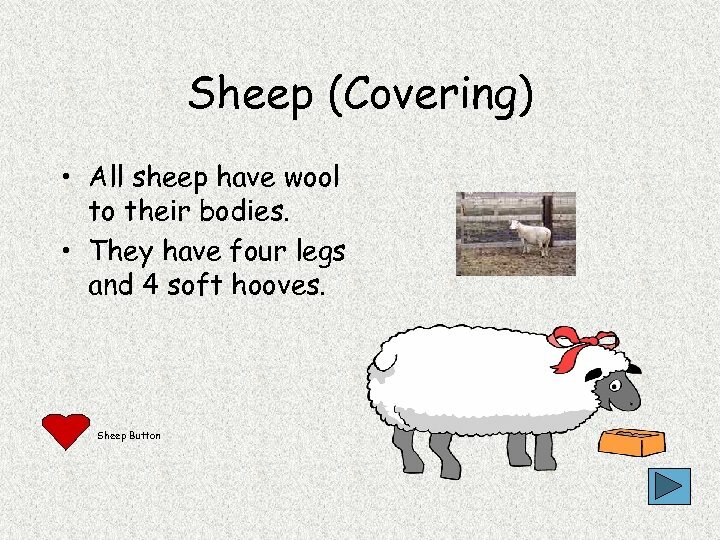 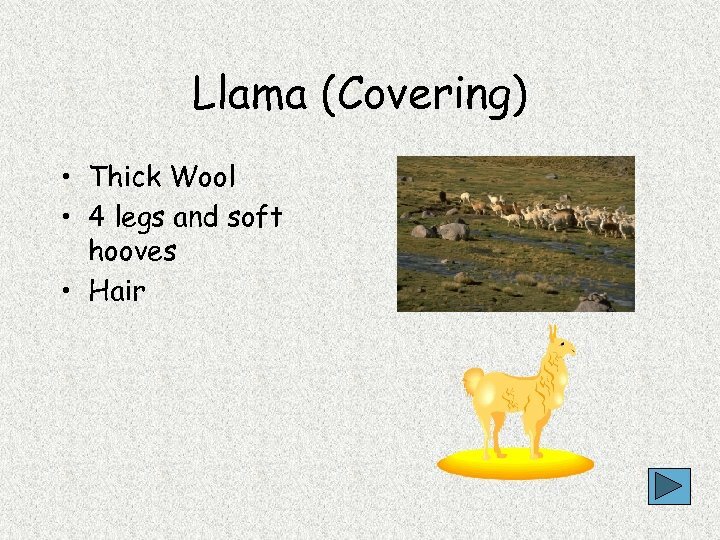 • Covering – Hide, fur, wool, feathers? 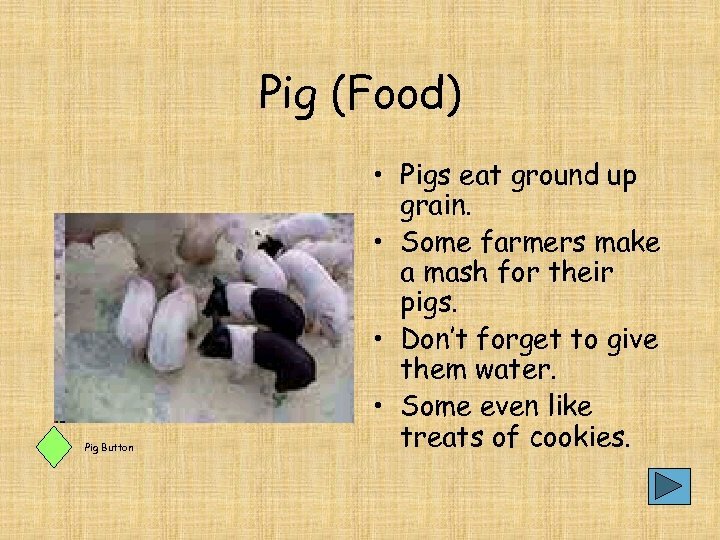 Pig (Food) Pig Button • Pigs eat ground up grain. 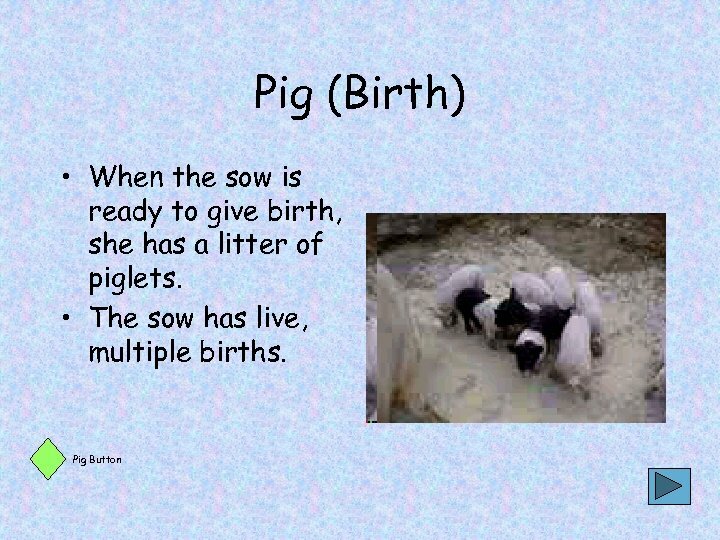 • Some farmers make a mash for their pigs. 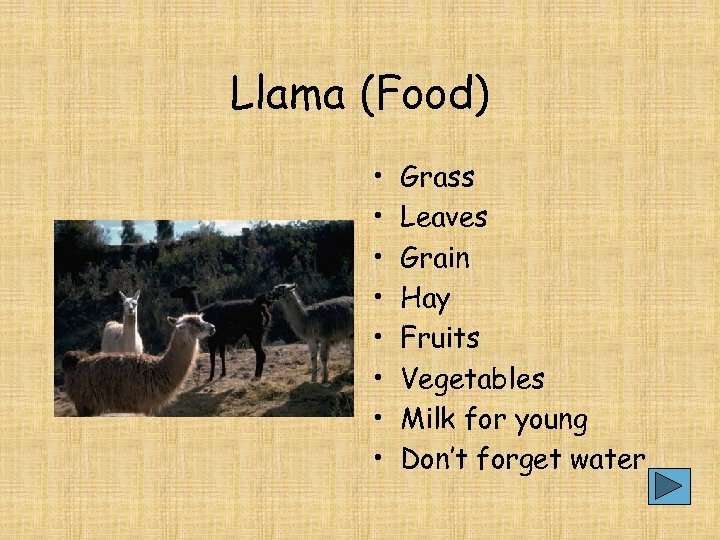 • Don’t forget to give them water. 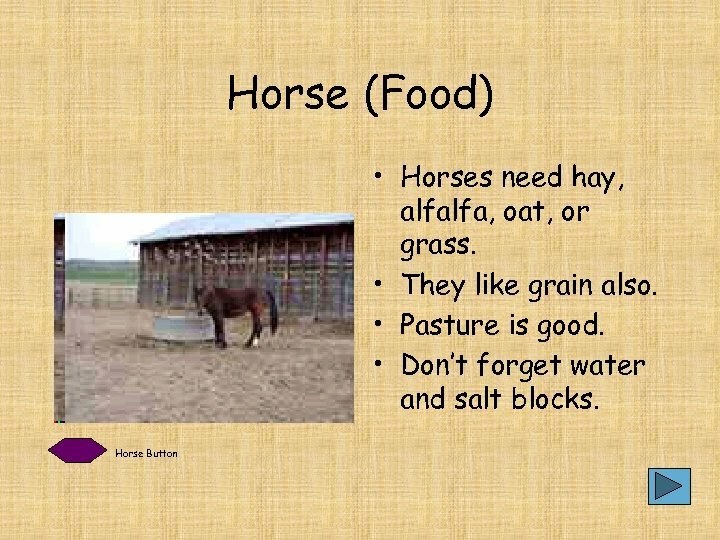 • Some even like treats of cookies. 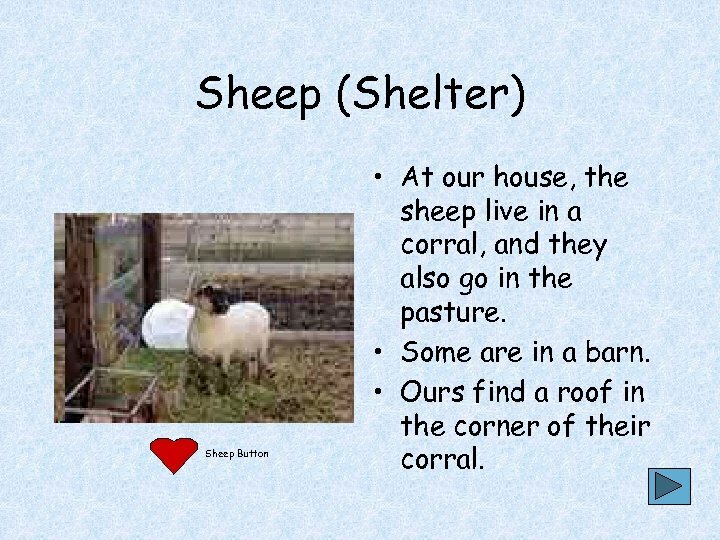 Sheep (Shelter) Sheep Button • At our house, the sheep live in a corral, and they also go in the pasture. 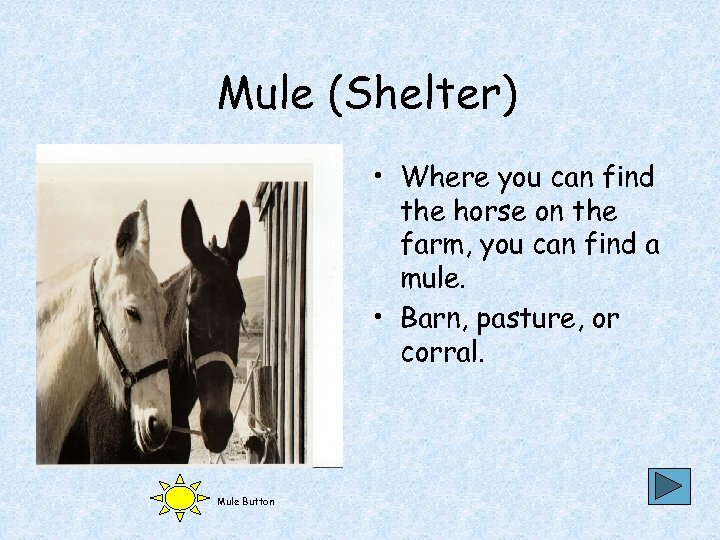 • Some are in a barn. 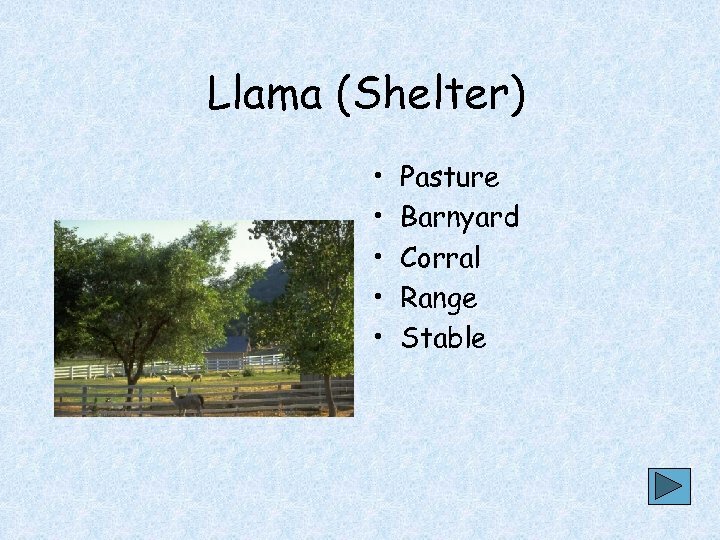 • Ours find a roof in the corner of their corral. 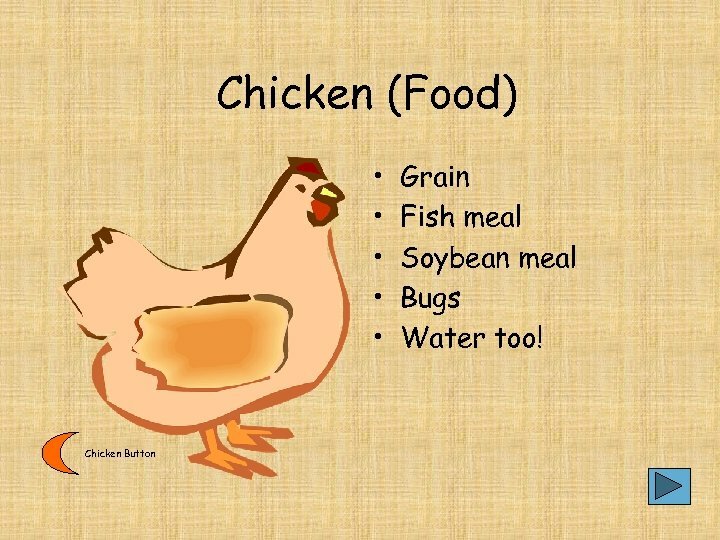 Chicken (Food) • • • Chicken Button Grain Fish meal Soybean meal Bugs Water too! 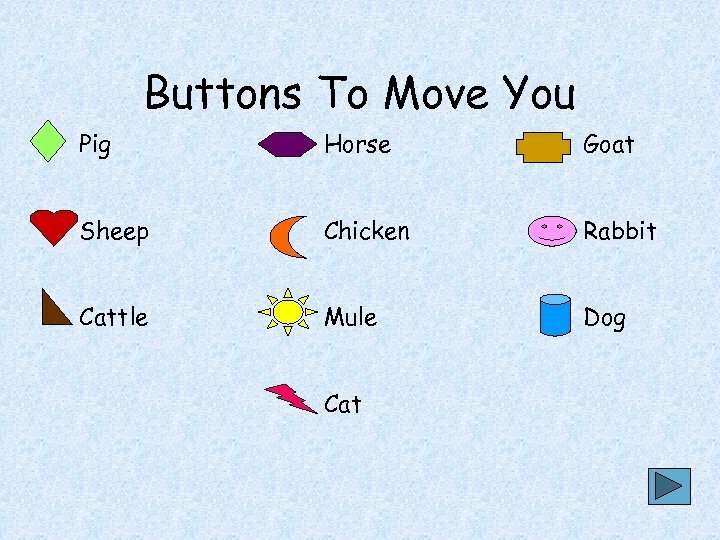 Rabbit (Food) Rabbit Button • Hay, not too much though. 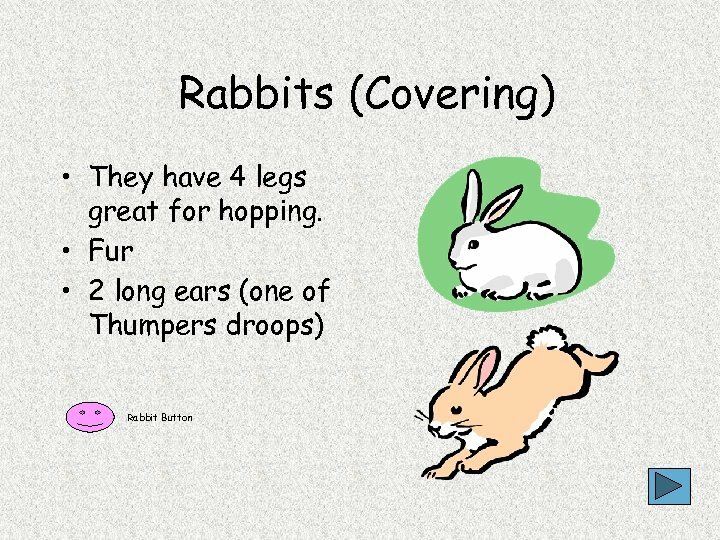 • Pellets • Water • They like treats of dried bread. 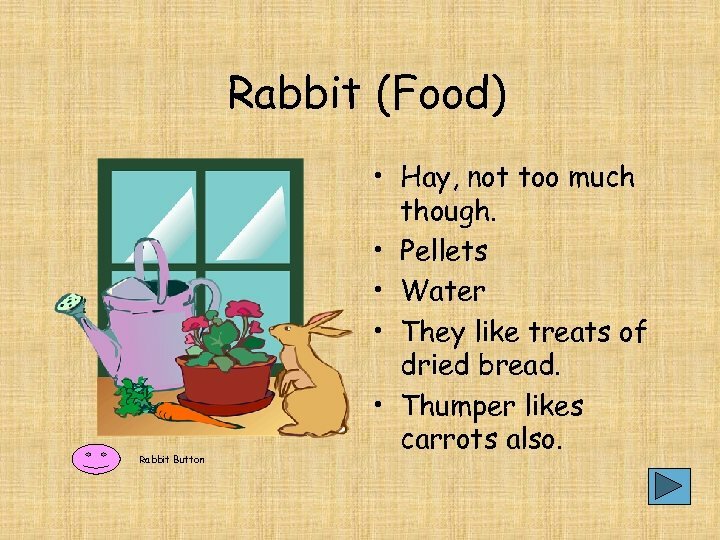 • Thumper likes carrots also. 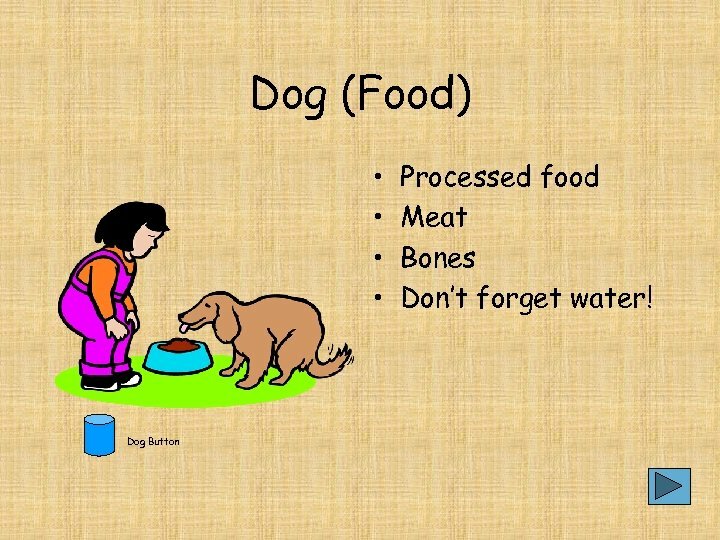 Dog (Food) • • Dog Button Processed food Meat Bones Don’t forget water! 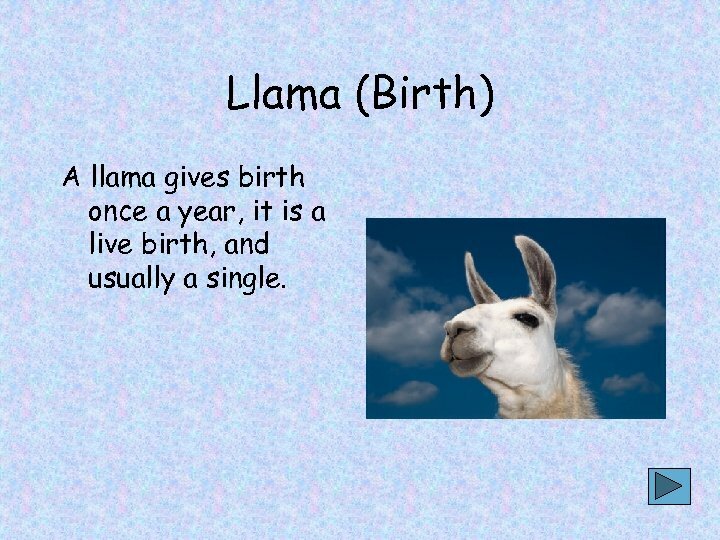 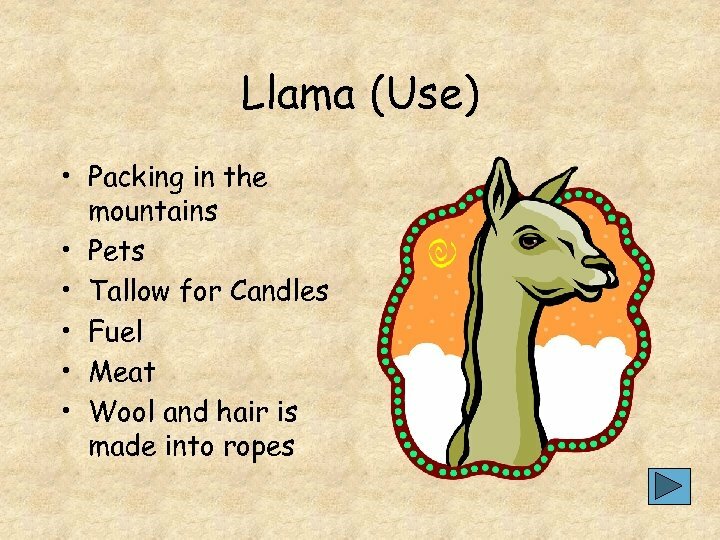 Llama (Birth) A llama gives birth once a year, it is a live birth, and usually a single. 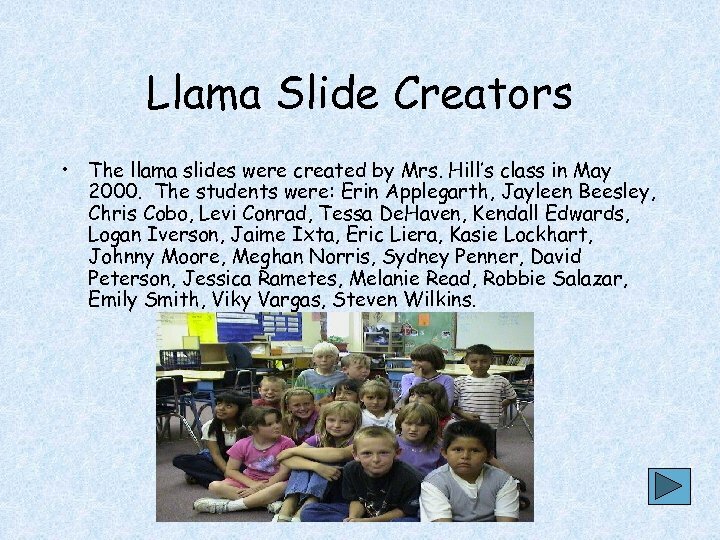 Llama Slide Creators • The llama slides were created by Mrs. Hill’s class in May 2000. 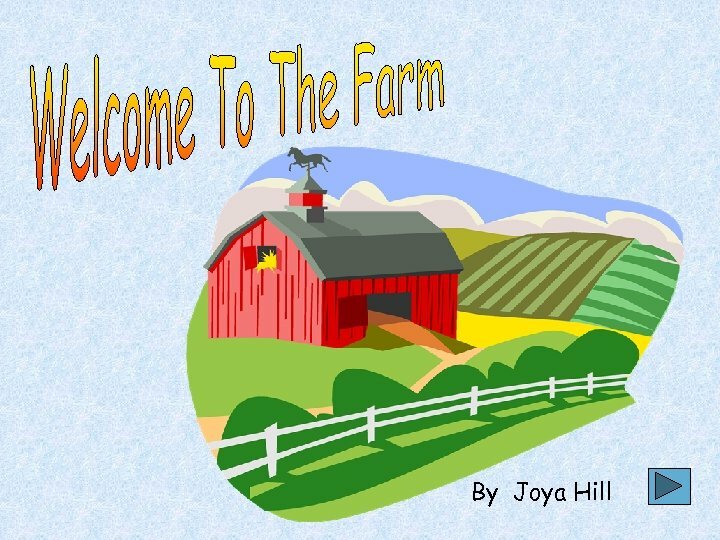 The students were: Erin Applegarth, Jayleen Beesley, Chris Cobo, Levi Conrad, Tessa De. 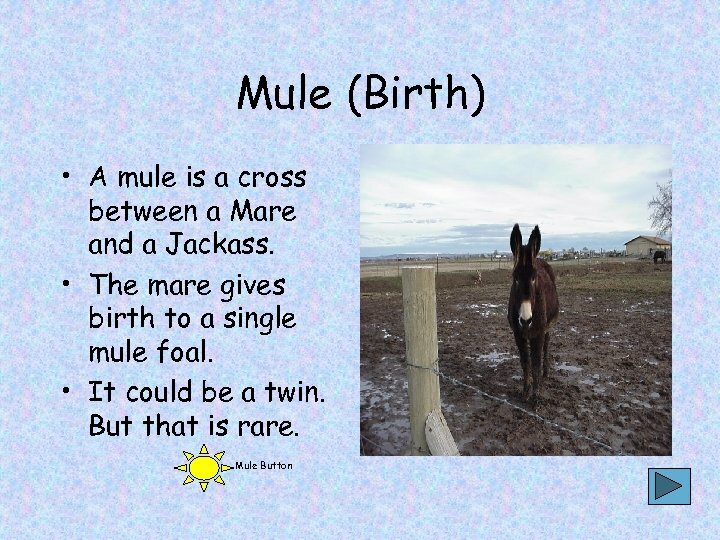 Haven, Kendall Edwards, Logan Iverson, Jaime Ixta, Eric Liera, Kasie Lockhart, Johnny Moore, Meghan Norris, Sydney Penner, David Peterson, Jessica Rametes, Melanie Read, Robbie Salazar, Emily Smith, Viky Vargas, Steven Wilkins. 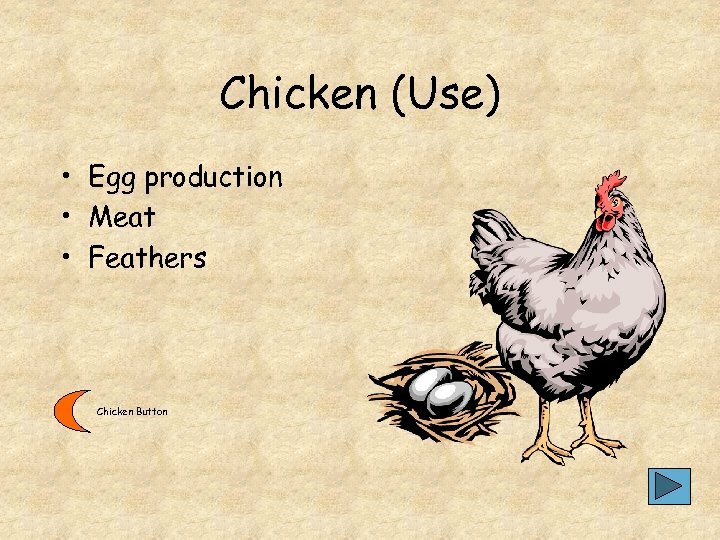 • Now lets see if we can create some new slides. 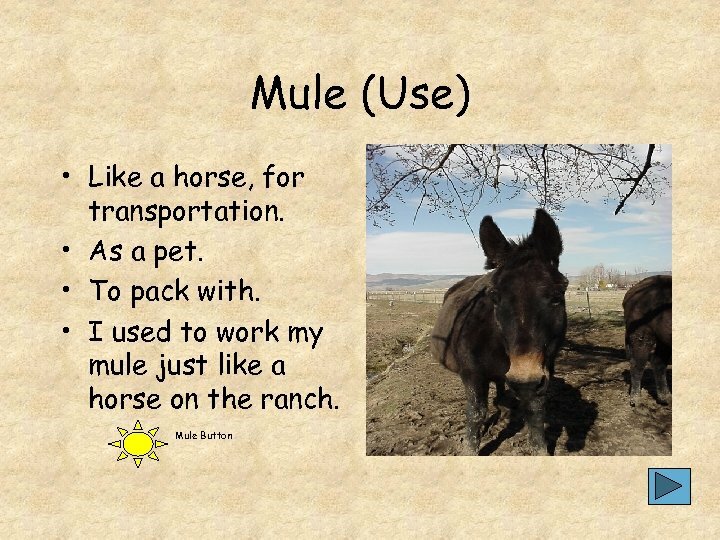 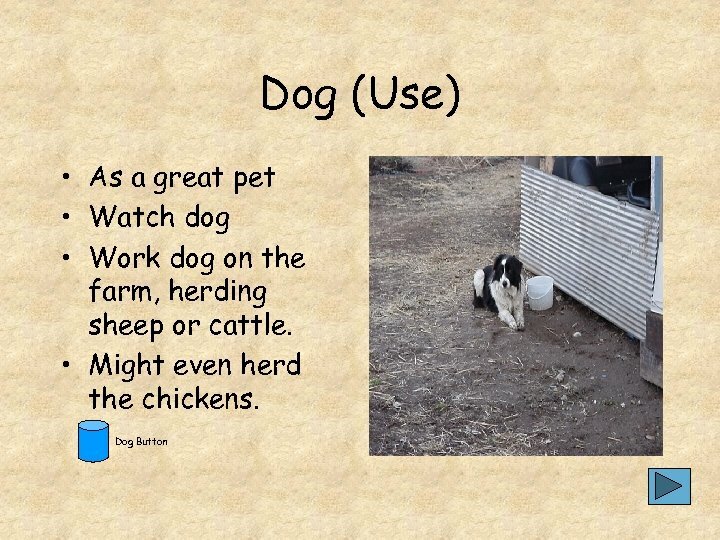 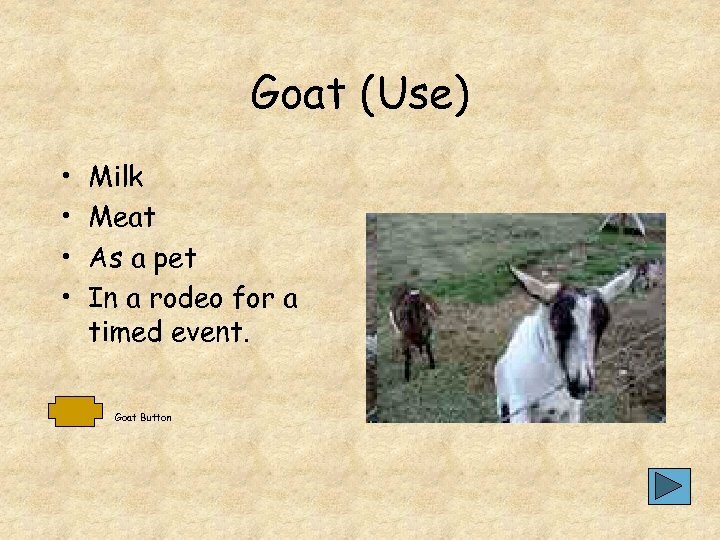 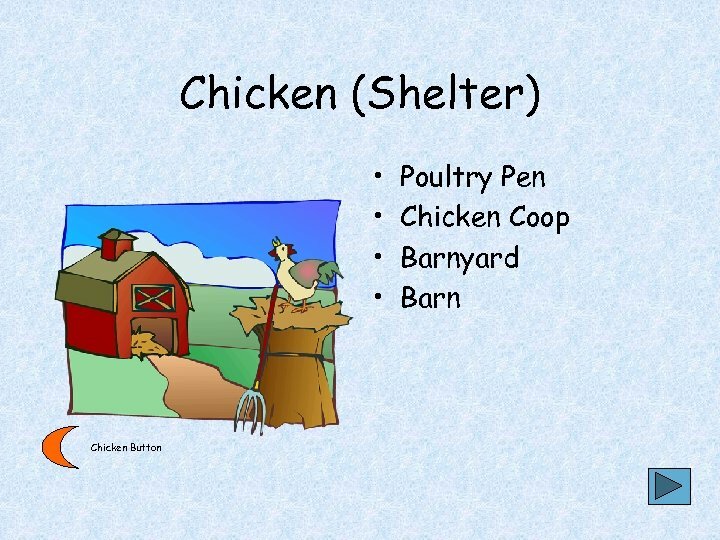 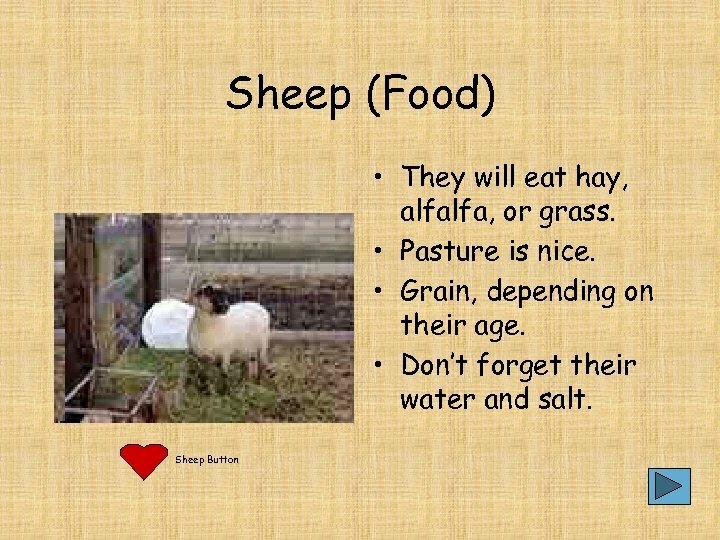 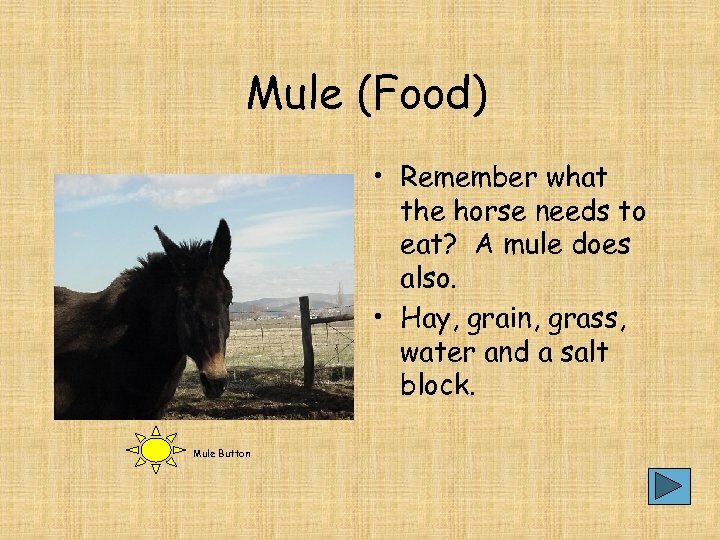 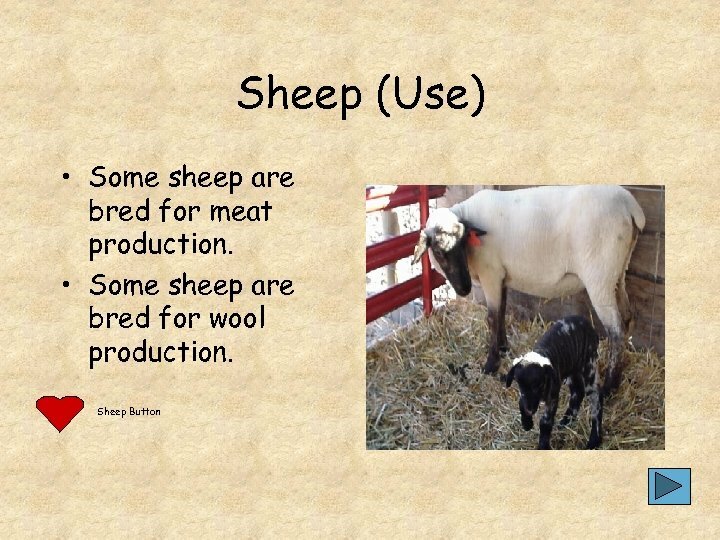 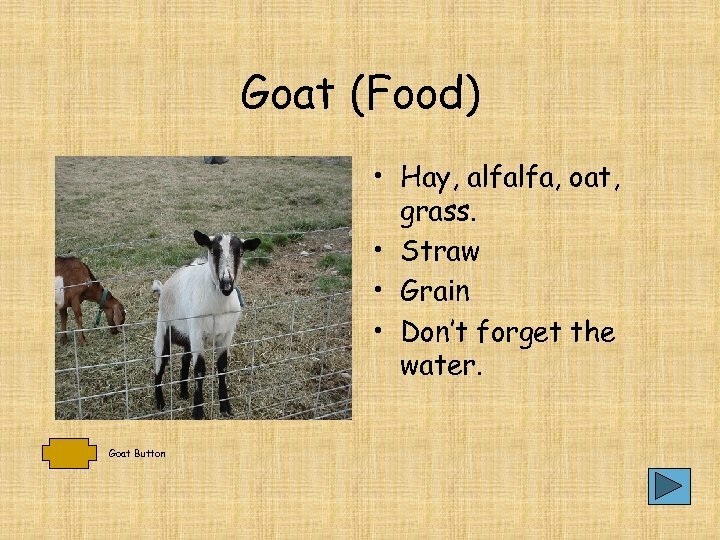 • As a class we will vote on a different farm animal to include. 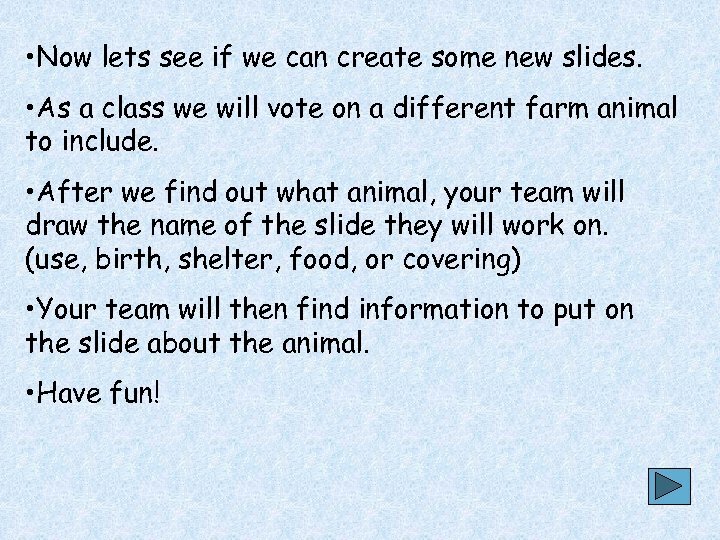 • After we find out what animal, your team will draw the name of the slide they will work on. 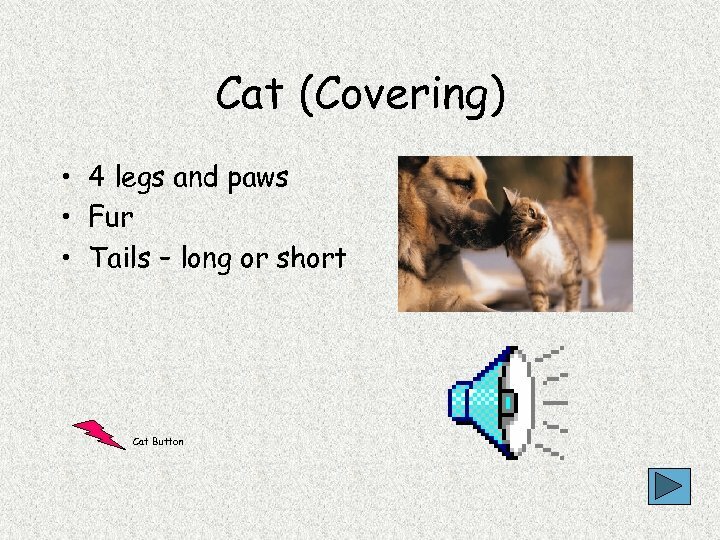 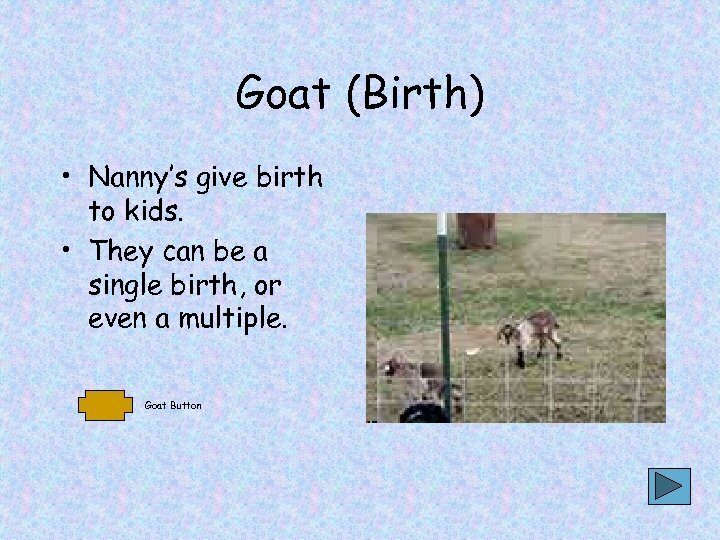 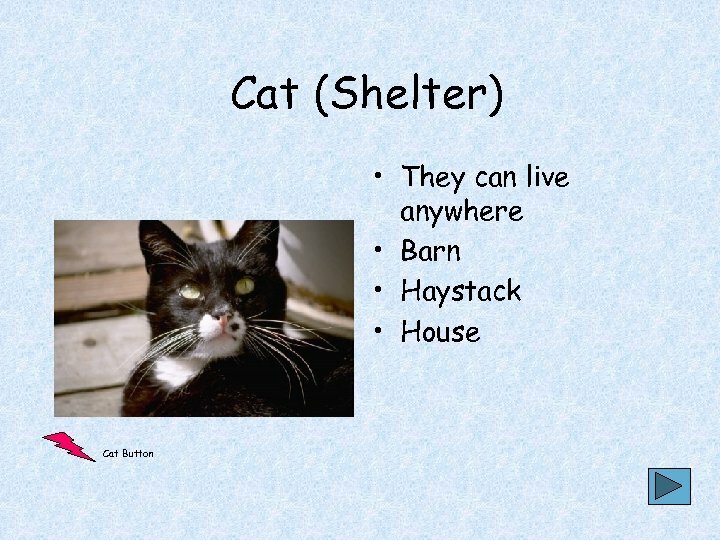 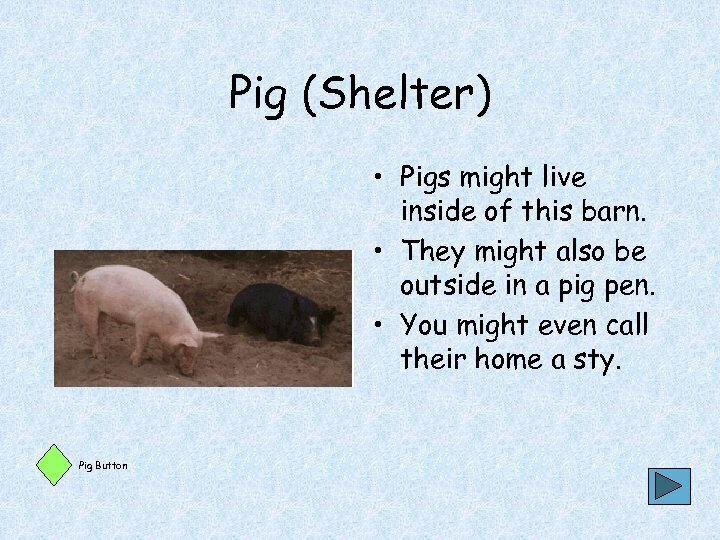 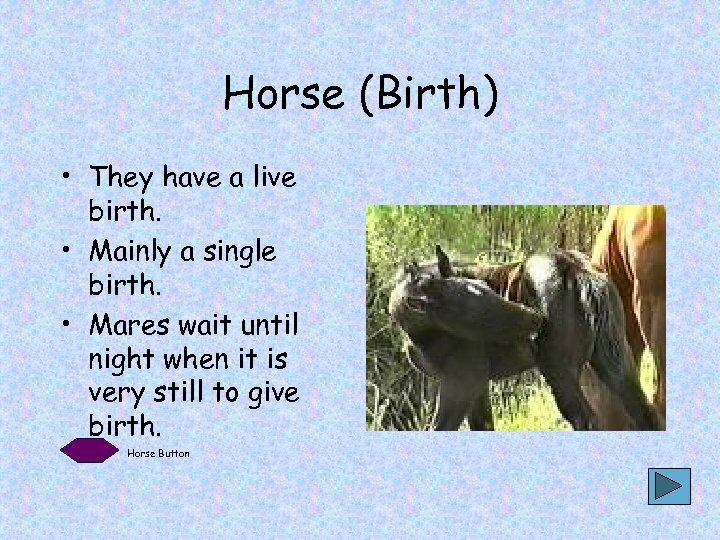 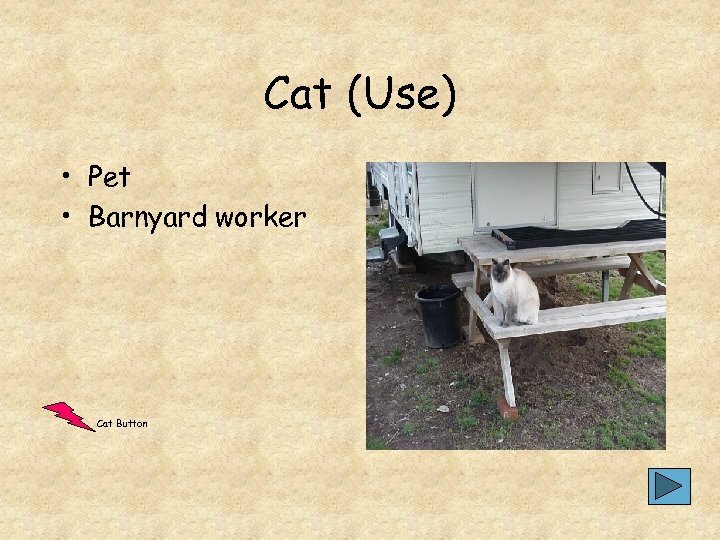 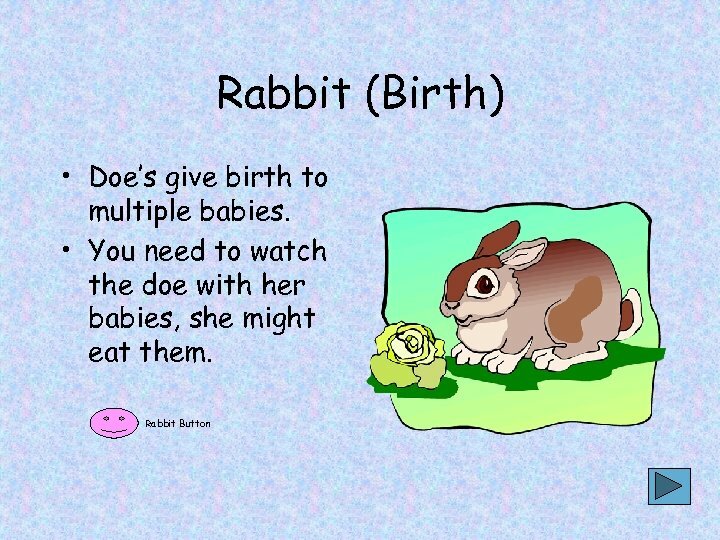 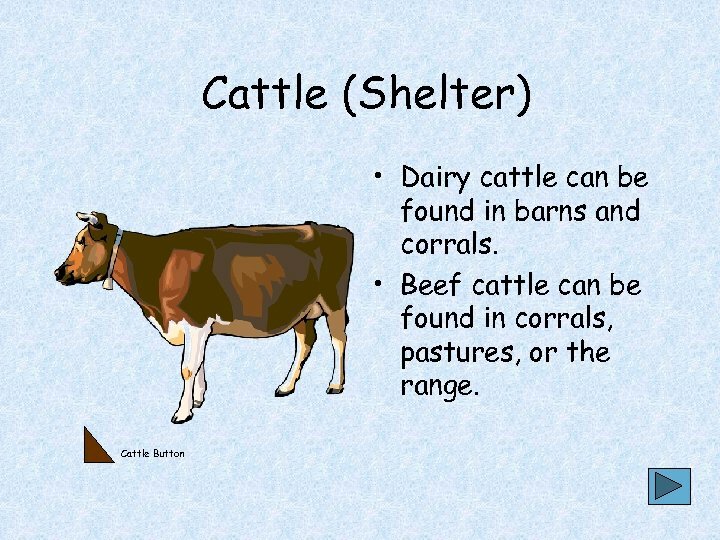 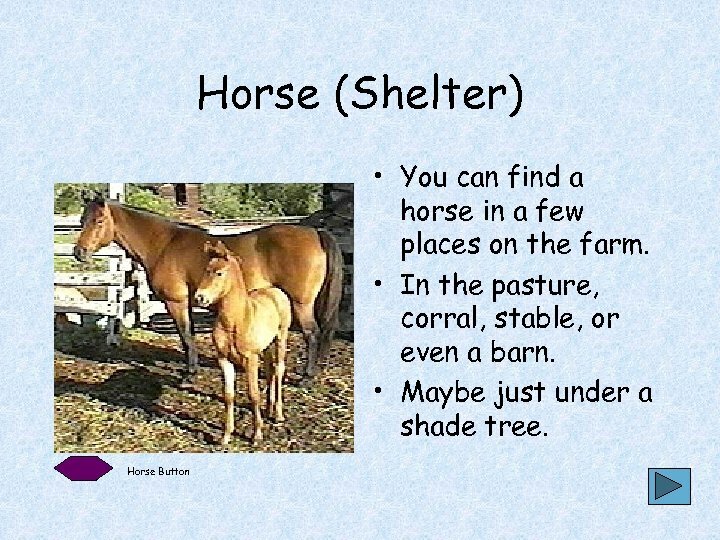 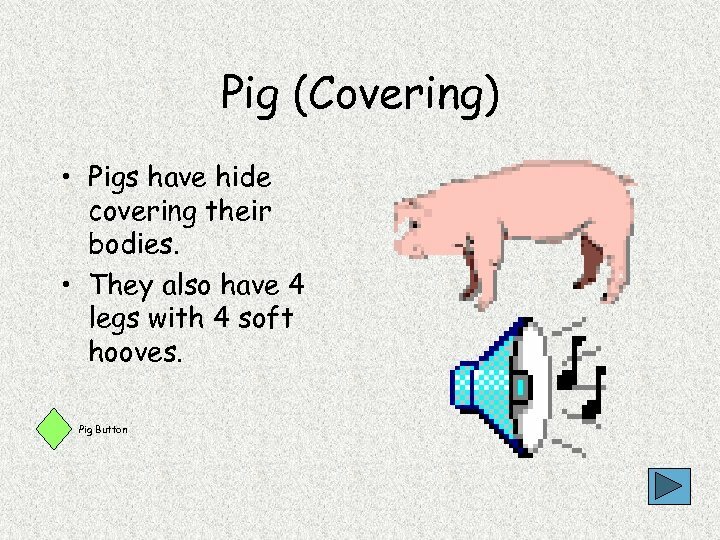 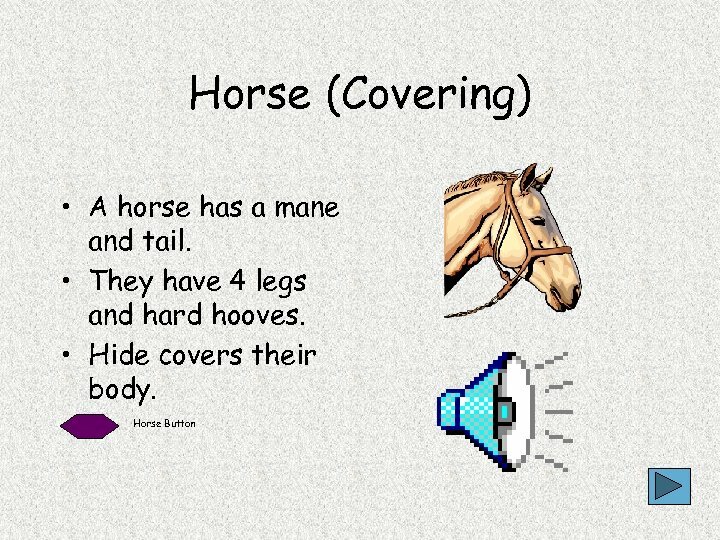 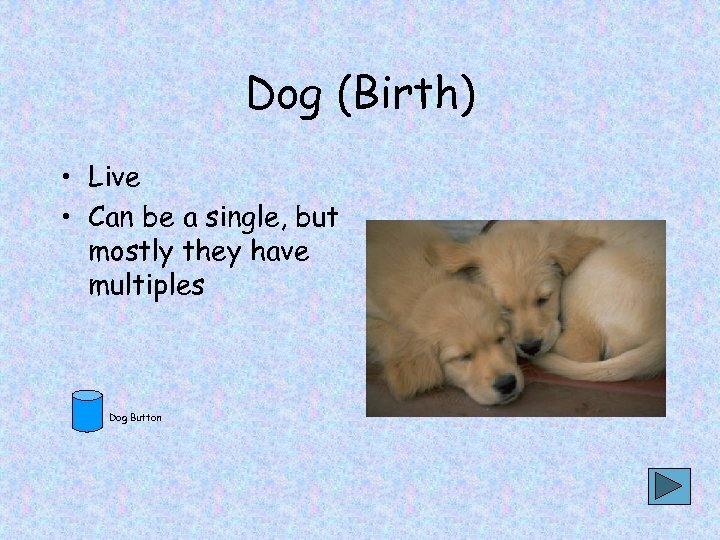 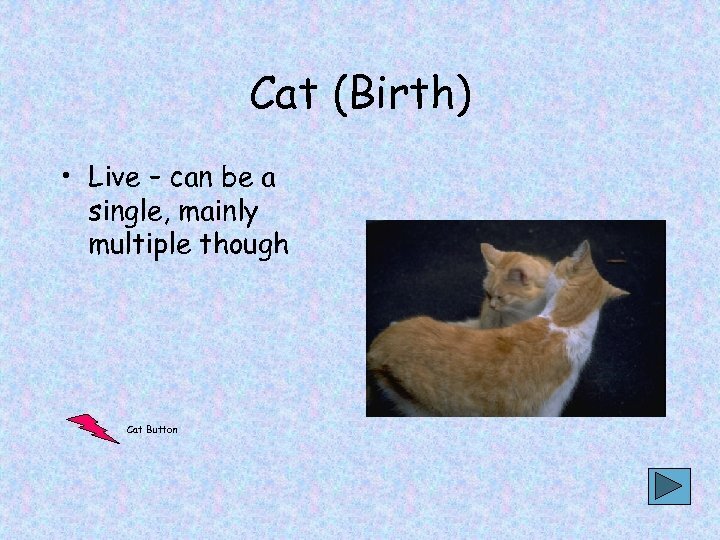 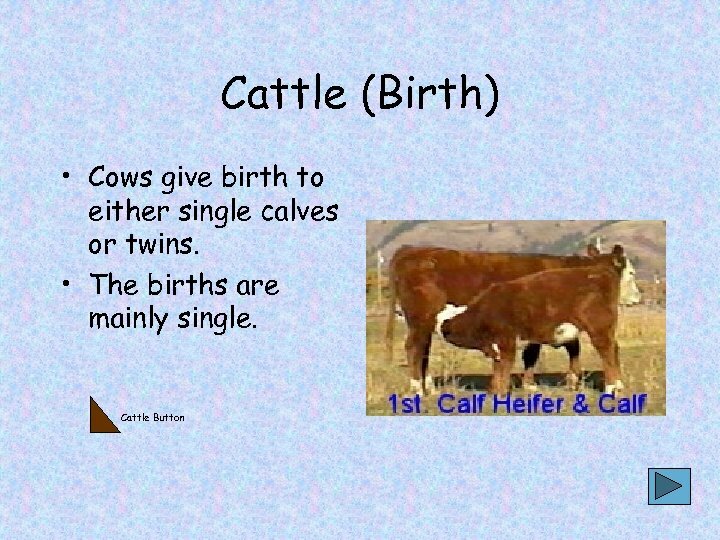 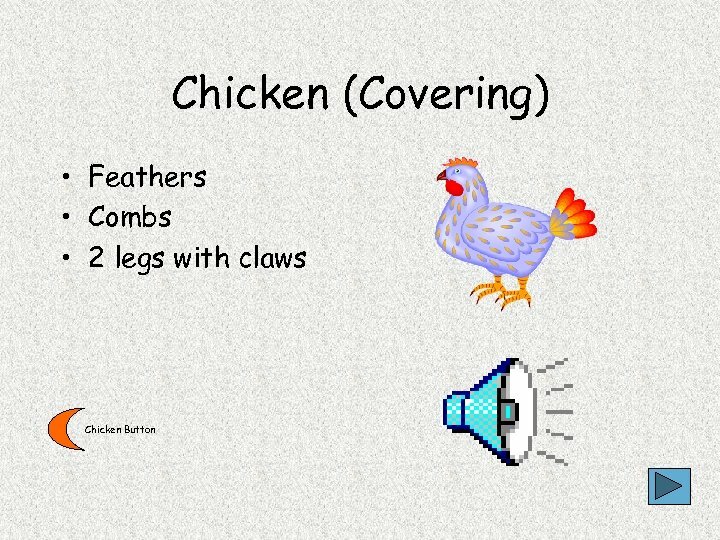 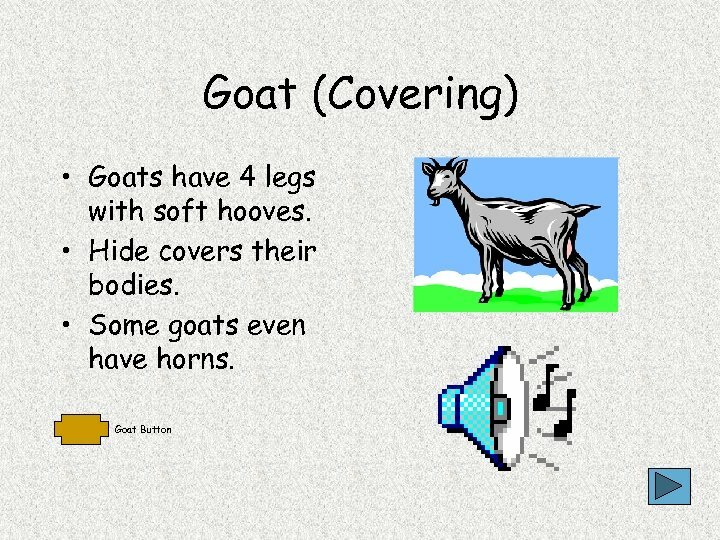 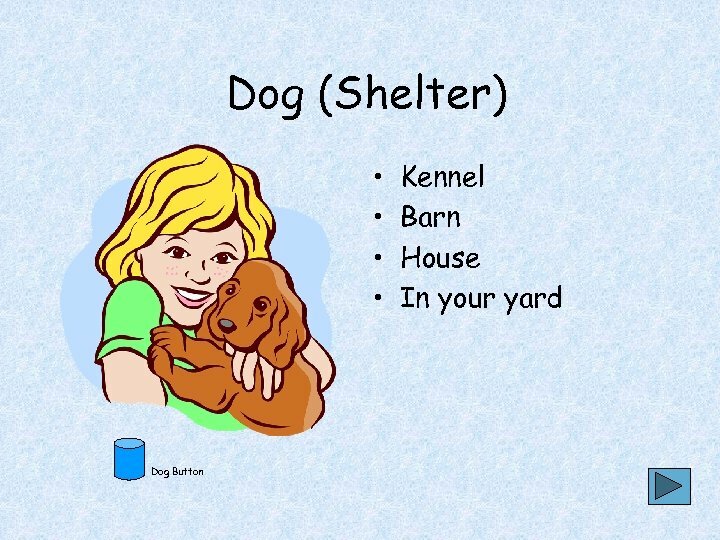 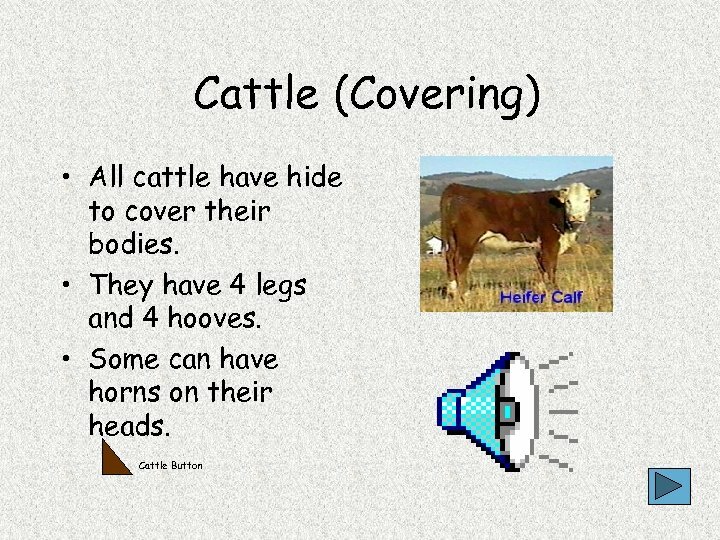 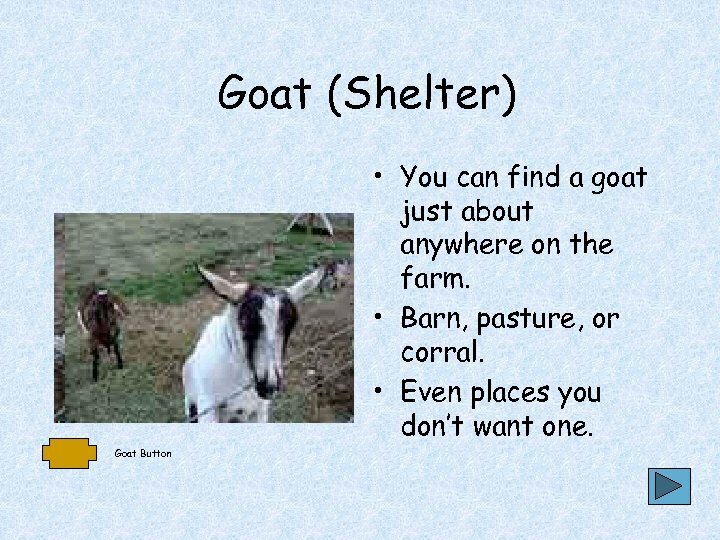 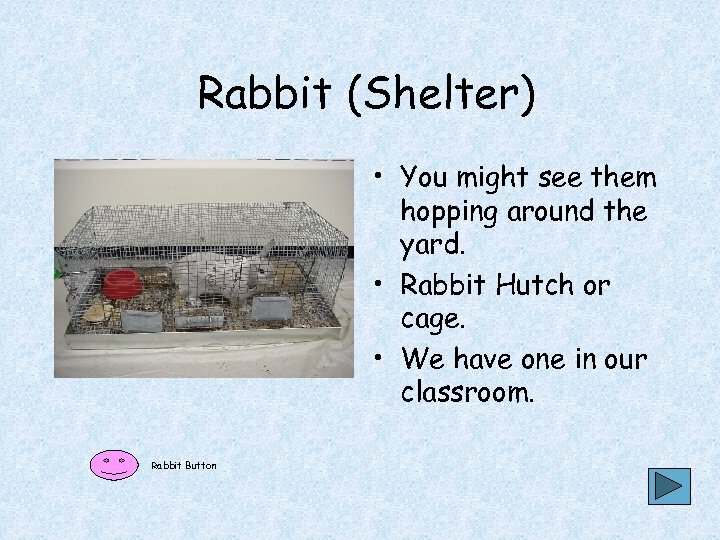 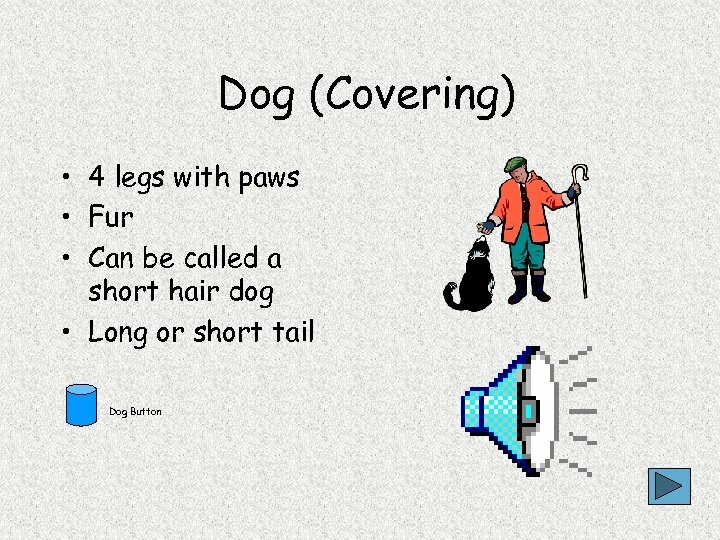 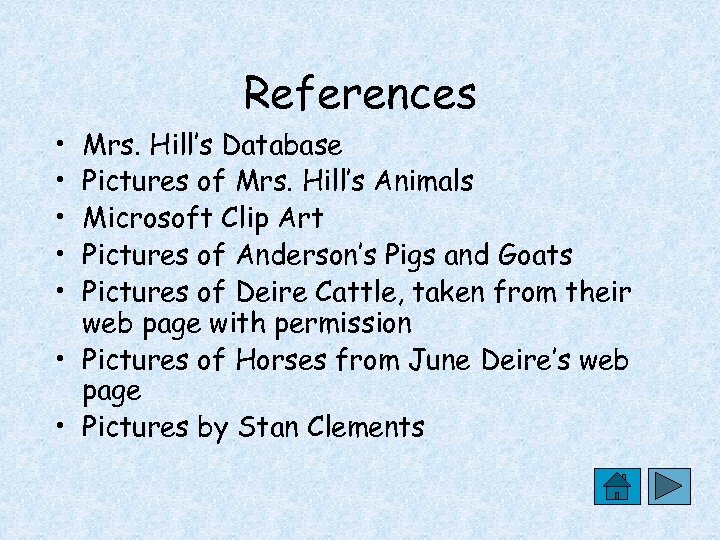 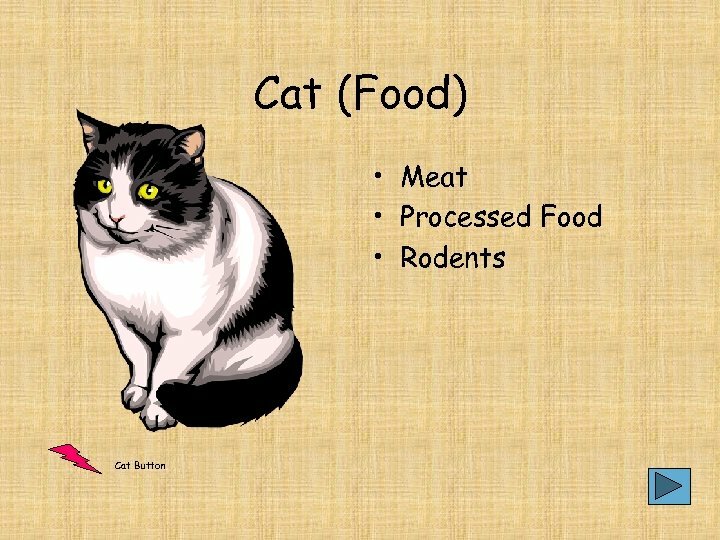 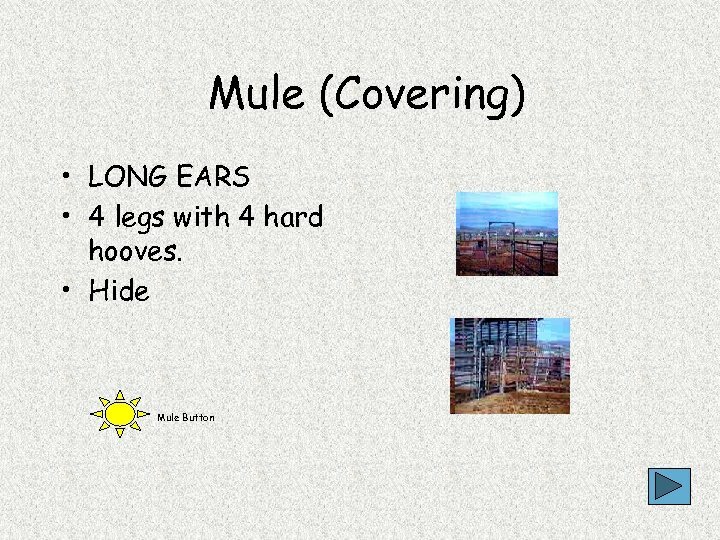 (use, birth, shelter, food, or covering) • Your team will then find information to put on the slide about the animal. 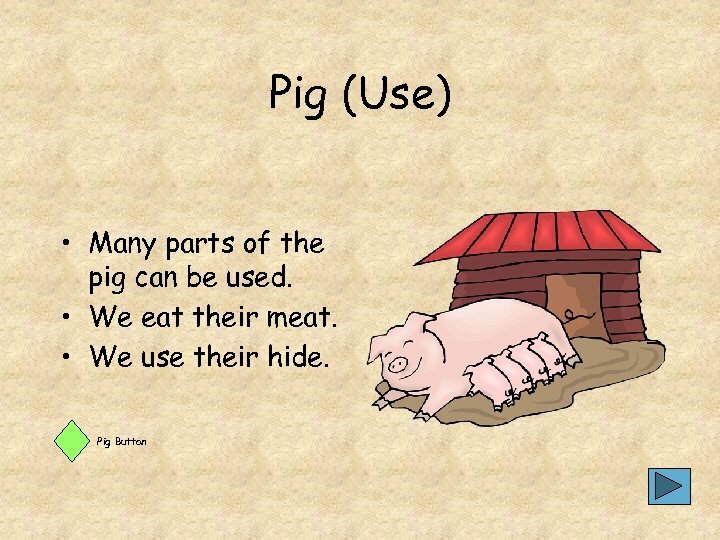 • Have fun!